"Bob was on time, honest and personable. I can't believe how bright and cheery my home looks now!" "I was expecting nice, but this is unbelievable!" "I can see the birds outside much better now! "I'm very critical, with high expectations. 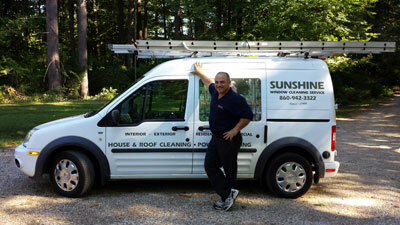 After Bob cleaned our floors, we switched from the service company we'd been using for 25 years to Sunshine." "He does an excellent job on our windows." "Bob is very reliable and diligent. I would not have anyone else do my windows. " “I am thrilled with the job. The house is 200 years old, so the windows are delicate and difficult to open and close; some we thought were impossible to open. Bob not only got all of them open, but he made them all look beautiful. He was a pleasure to have in our home: he was great with our pets, super polite, and a really hard worker. We highly recommend him. 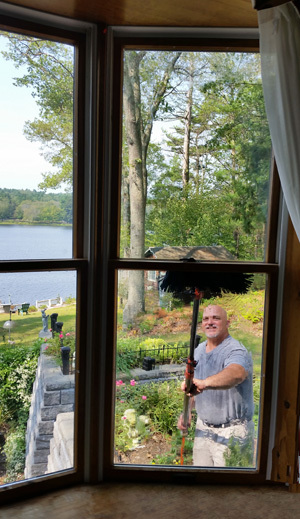 He will be our only window cleaner from now on!” -L.Z. Why spend a weekend cleaning windows and blinds? 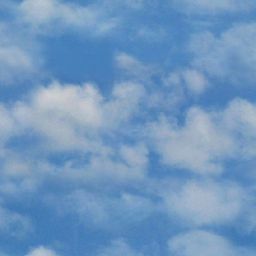 Let Sunshine Window Cleaning do the work for you! NEW! Ultrasonic blind cleaning ONSITE: Big enough to clean and rinse both mini-blinds and large vertical blinds. Blinds over eight feet long are cleaned at our shop. Can thoroughly clean all materials, including cloth, wood, vinyl, honeycomb or plastic. Our specialized machine uses sound waves that pass through the water to remove all kinds of nasty gunk. We can also pre-treat for nicotine stains. We will remove, clean and reinstall the blinds. Ultrasonic blind cleaning PICK UP & DROP OFF: 72 hour turnaround, cleaned and dried at half the price! 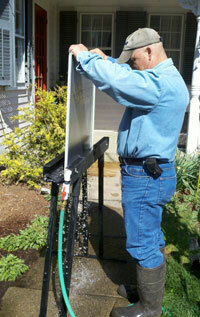 Solar Panel Cleaning: Solar panels should be cleaned 2x/year with purified water to maximize energy output. Increase your wattage! Call for a free estimate. You can count on us to be on time and provide high quality service. 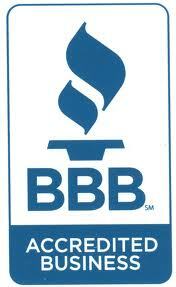 A+ rating on Better Business Bureau with zero complaints! We'll leave your windows gleaming! WHY HAVE YOUR WINDOWS PROFESSIONALLY CLEANED? Cleaning windows yourself is tedious and time consuming. It usually requires tall ladders or scaffolding, and can be dangerous. Afterwards, windows are often still smudged and streaked. When we clean your windows, they will look like crystal. BLIND CLEANING: BEFORE & AFTER!